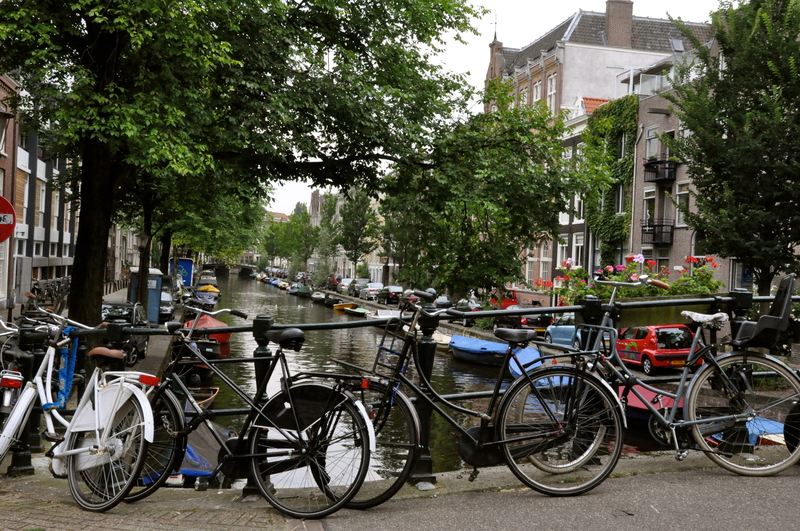 I think there are more bikes in Copenhagen than Amsterdam, but it more obvious in Amsterdam. Every nook and cranny is filled with bikes. 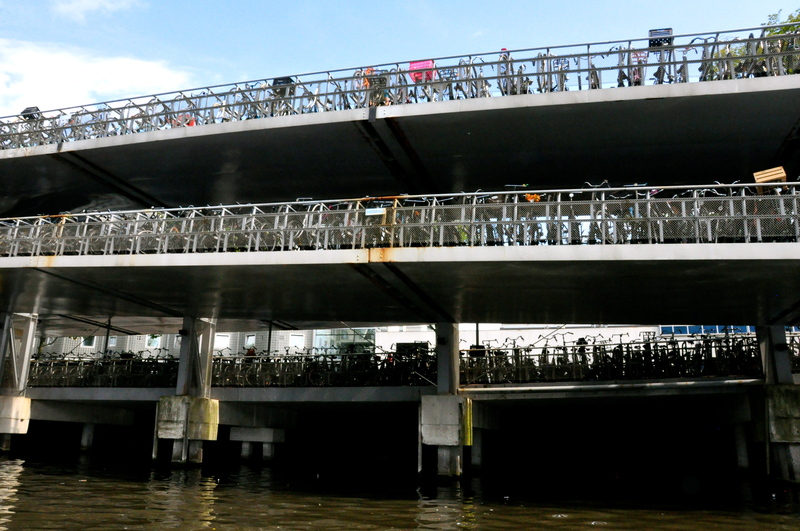 They even have a bike garage at Centraal Station to contain all of them. We’d seen it last trip, but it was neat to see it from the water. 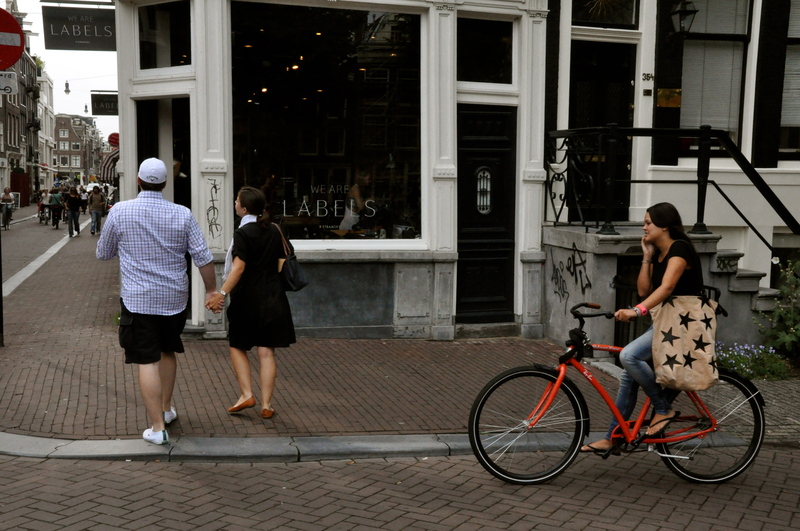 This trip, I noticed a “bike boats” that were built to contain some of the ones that were spilling off the street. 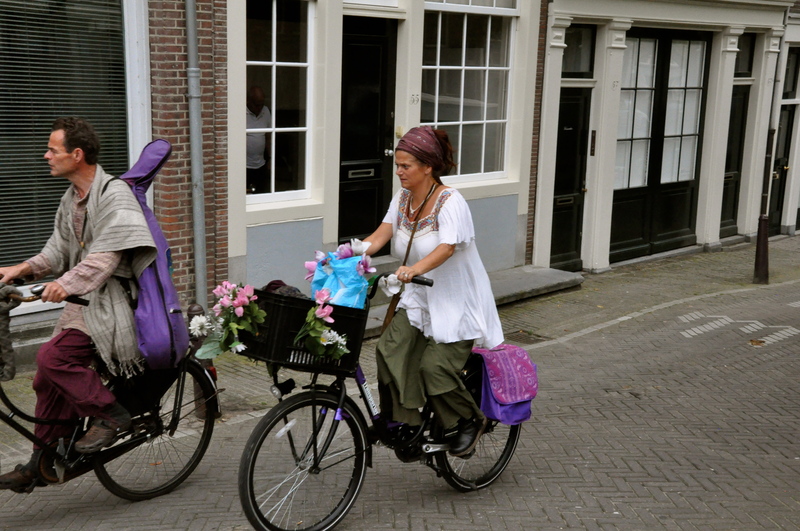 The Dutch are very talented at their bike riding. 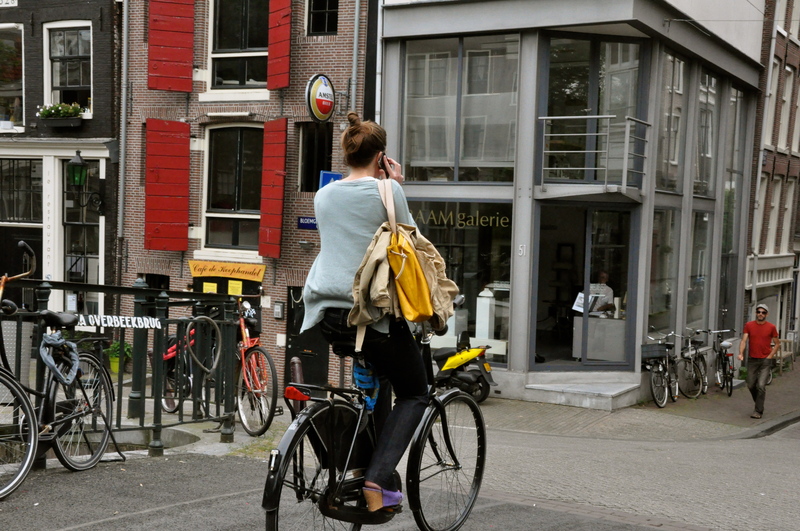 You often see them talking on the cell phone, and some of the women apply make-up while navigating their bike. 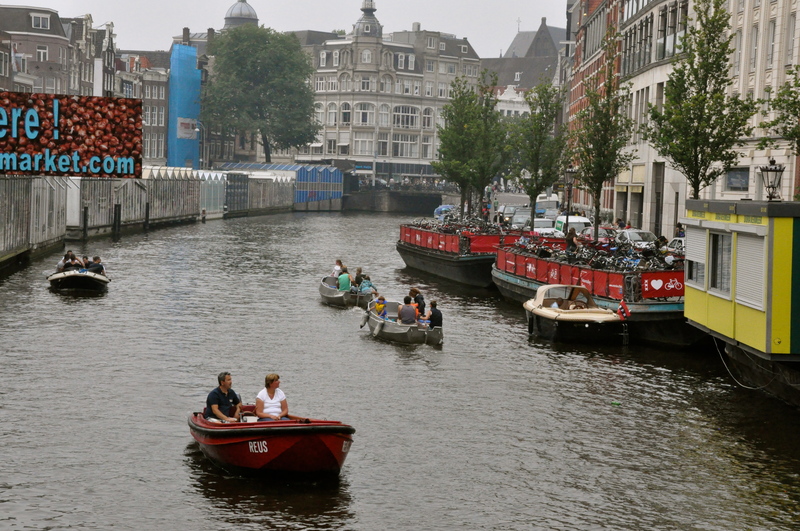 I’d be in a canal if I were them! –Many people have “saddle bags” that are meant for their things – purses, work bags, groceries. –A lot of folks have extra seats, for children or friends. 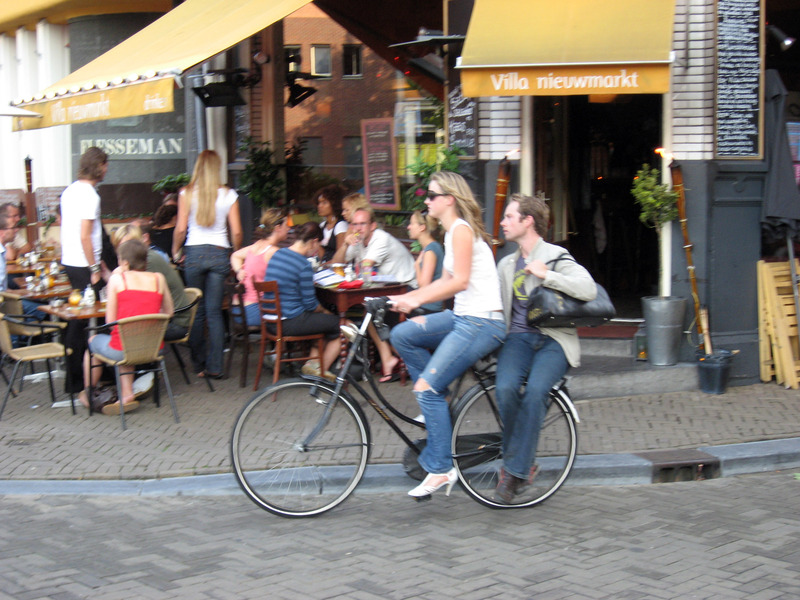 Even if there was no seat, we saw a lot of people “side saddling” the bike while their friends drove them along. –Carts are good for multiple children. We saw one fellow driving with his infant in a baby carseat and an extra toddler in the cart on the front of his bike. 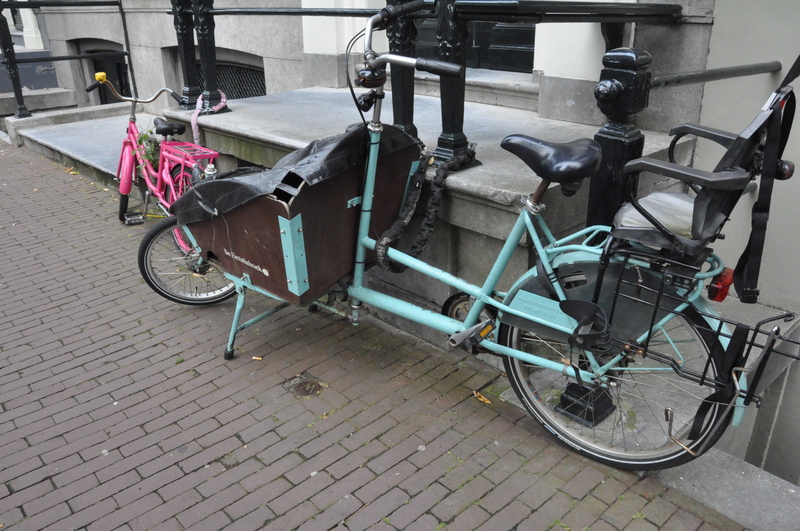 Bike with a seat on the back and a cart on the front. –It’s popular to decorate your bike. Either by weaving your basket with artificial flowers, or by painting it an unusual color, like bright pink. Heck, I don’t blame them. 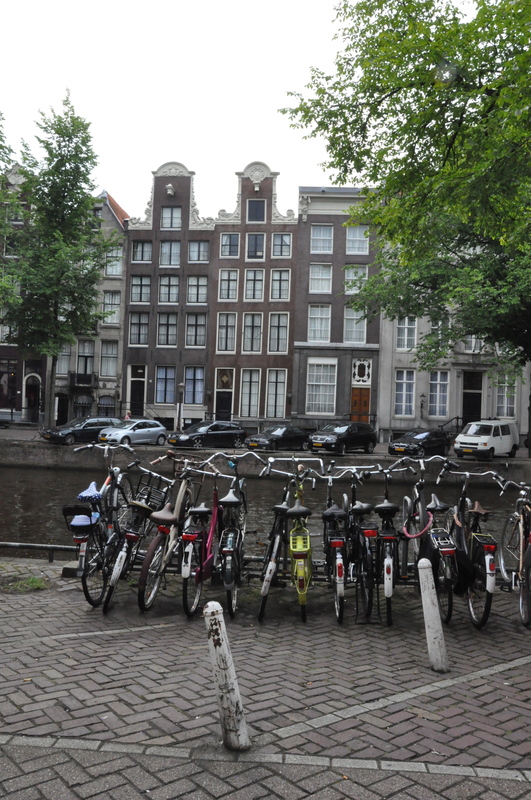 I commented that I’d want a GPS tracking device for my bike since I’d be afraid if I lived in Amsterdam, I’d constantly forget where I parked with the bike storage chaos! It pays to stand out! –People with nice bikes have this special system that allows you to lock your bike without a chain-type mechanism. Ferdinand and Isabella wondered if bike theft was a problem, since there were so many. Ferdinand commented that as long as you didn’t have the nicest bike, you might be safe! 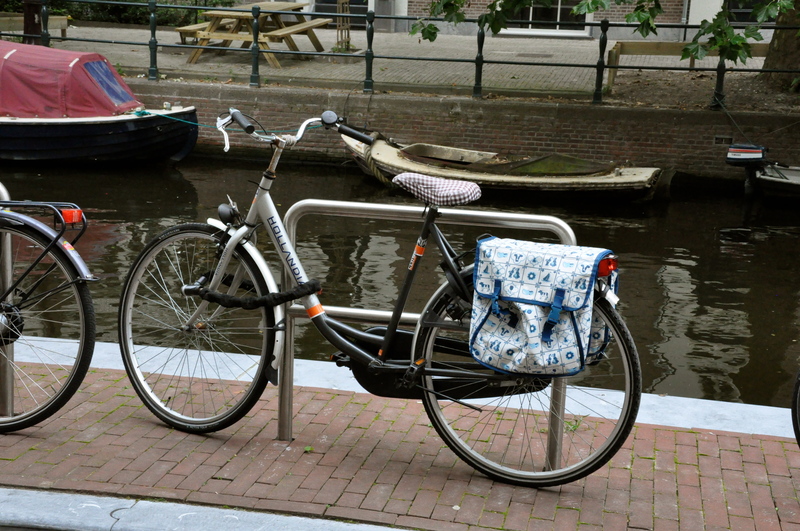 However, we know someone living in Amsterdam who had their nice bike stolen, so it is possible. 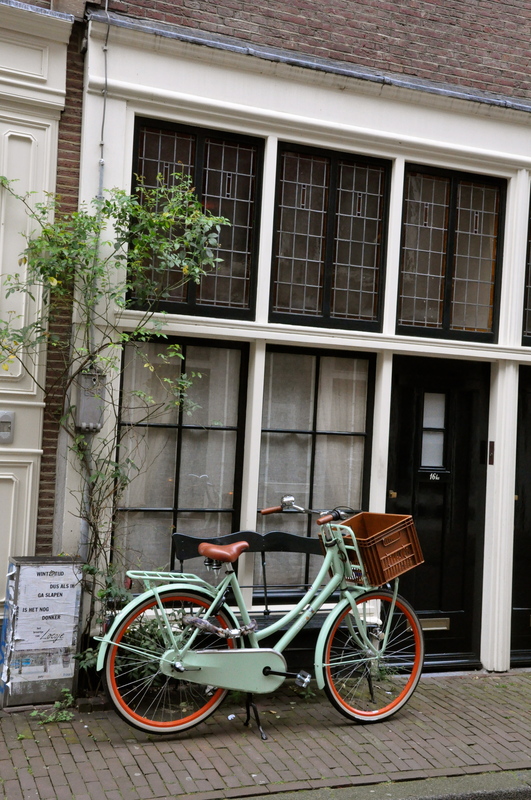 –Some people who we met in Amsterdam taught us about the term “time travel”. Apparently if one has had too much to drink, bikes home, and ends up the next morning with unidentified scrapes and bruises caused by a likely bike accident, you would remark, “last night, on my way home, I time traveled”. –Some of my Dutch friends told me if they see a group of yellow bikes or people with matching parkas, they know to steer clear. They said tourists are out of control. I’d agree……when we rode in November, I didn’t fare so well on the bike (almost had death by tram). But, it certainly inspires me to ride more when in Geneva or in the States when we return. This entry was posted in Beauty & Fashion, Transportation, Travel: Europe, Visits & Trips with Visitors. Bookmark the permalink.